in accordance with our Management Plan and our statutory responsibilities per Chapter 36 “Texas Water Code”. The Board of Directors reviewed the staff’s draft version on February 14, 2018 and formally excepted the report on March 14, 2018.
municipalities and all other political subdivisions in Bell County. 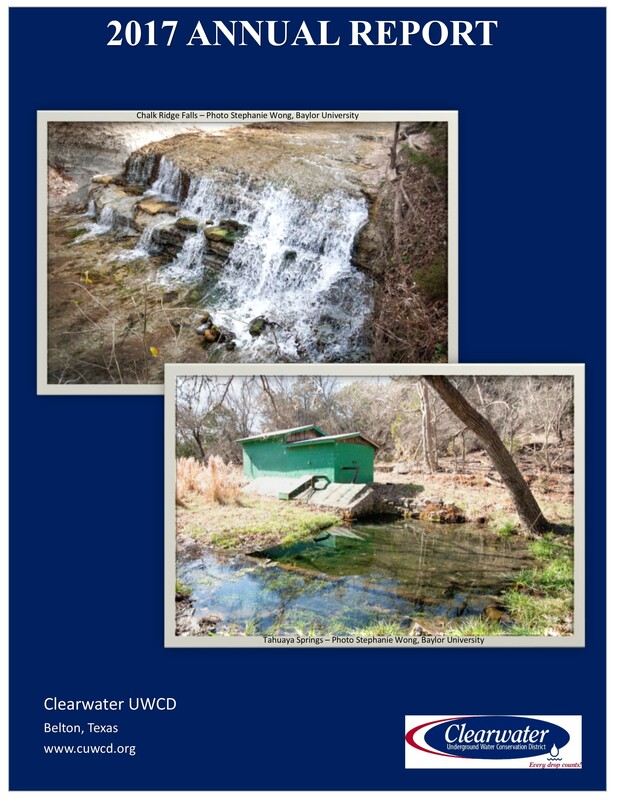 The Clearwater Underground Water Conservation District was created by the State legislature in 1989 to manage the groundwater resources of Bell County. The District was approved by the voters of Bell County in August 1999 and our doors opened for business in February 2002. 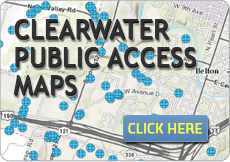 Clearwater’s fiscal year runs from October 1st through September 30th. This report summarizes the accomplishments and activities of the District during FY17; but reflects registration, permitting, and production figures for the calendar year 2017. CUWCD offers a formal presentation of the district’s activities in the report by calling 254-933-0120 to schedule such presentations. If desired, bound copies can be provided by calling 254-933-0120 or email daaron@cuwcd.org.